I had the pleasure of visiting family owed opticians Aston and Woods. Based in central London Tottenham court road, the shop boasts premium luxe. As I entered I couldn’t help but notice the independent eyewear bands, this is something which I really loved and felt that the store was different and unique just because of that. As far as brands that they stocked they have a real niche collection such as Caroline Abrams, Cutler & Gross, Garrett Leight, Hoffman Buffalo Horn and Lindberg, and Mykita Hand picked straight off the runway shows. Upon meeting the team I got to find out a bit about the family owned business, the store opened 31st May 2018 Founded by husband and wife team Keval and Sona Thakerar (an award-winning optometrist), the concept was born out of Sona’s experience working for larger opticians, that can impose strict restrictions on the time allowed to test each patient. 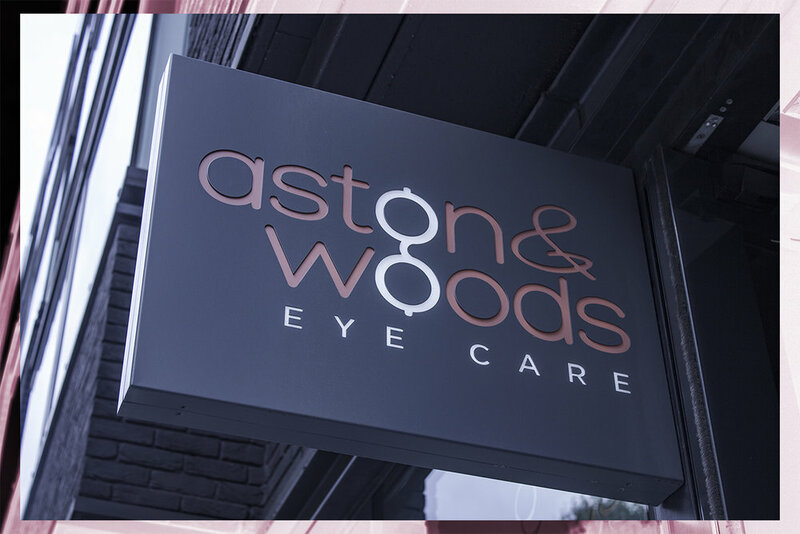 Aston & Woods was created to offer an independent optical service on a major high street in the heart of the West End, where not only testing times range from 40 minutes to one hour, but state of the art equipment is used to ensure thorough and accurate eye examinations. 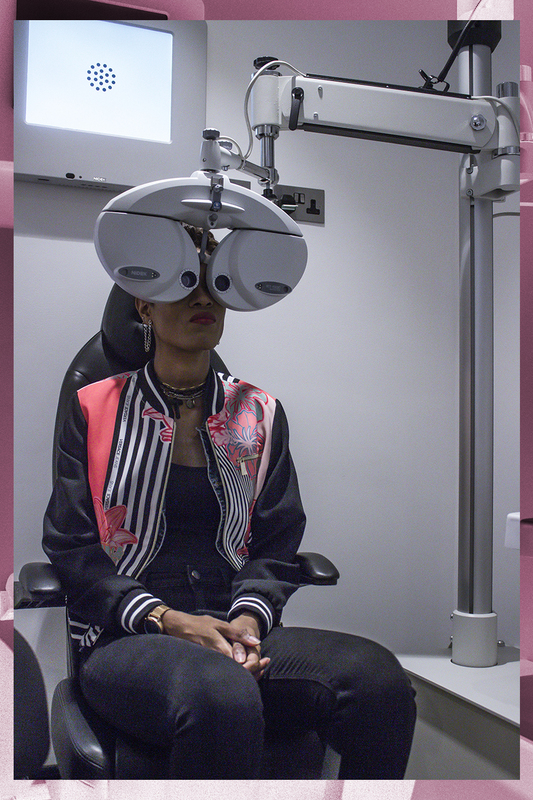 I got to have the full Aston and Woods experience using all their latest technology and had the most in-depth eye examination to date. I hadn’t had an eye test in four years so I was keen to know the changes and state that my eyes are in now. 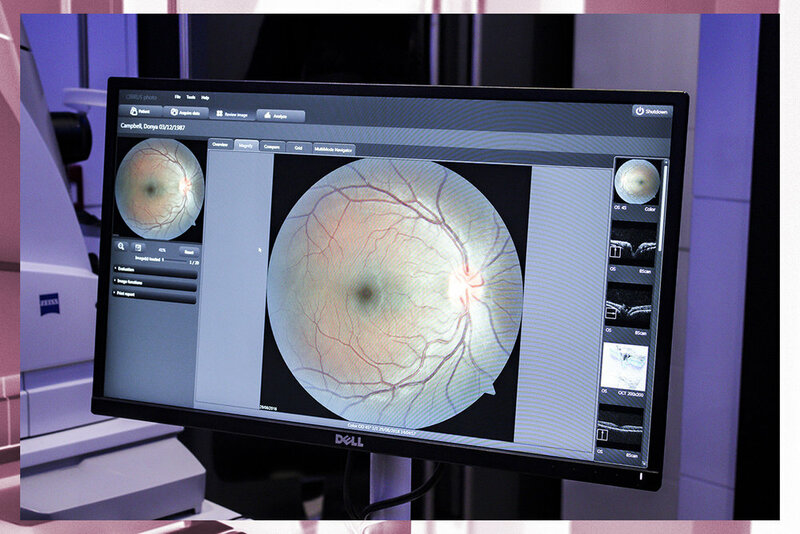 Eye examinations with Aston & Woods were performed using the latest technology and equipment used by ophthalmologists in hospitals such as Moorfields Eye Hospital. I was pleased to find out this information and I felt I was in the best hands re this new examination. 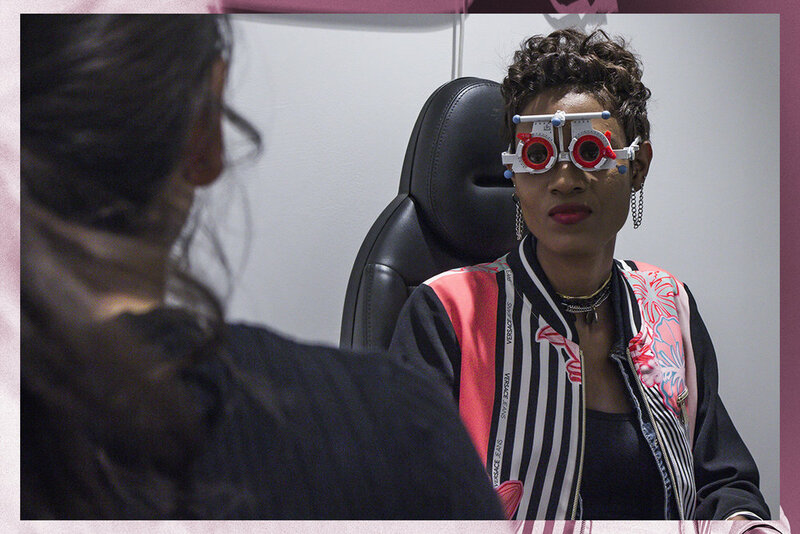 What I really enjoyed was the fact that the staff at Aston and Woods made it their mission to break down bit by bit every different examination I was having and took the time to educated me about my eyes. So the Aston and woods team began by giving me a regular eye test, that was just to find out my basic prescription as they have no history or background on my eyes. Then we moved on to The Gold eye examination which is an in depth 40 minute eye consultation where my eye health was checked alongside screening tests such as fundus imaging, specialist photography which documents the health of the retina, field tests, which measure central and peripheral vision, and pressure checks. My eye test was then upgraded to the Platinum eye examination which is everything the Gold Eye Examination has to offer, in addition I received the OCT test to gain a further, more detailed understanding of the health of my eyes, In total this took up to 1 hour. I was pleased to find out that my eyes are in good health and that my prescription hadn’t changed in four years which was really interesting, however it was great news. I would advise not to leave eye tests that long and go by the advisement of the opticians, every 6 months to 1 year is what is usually advised. The best bit for me was going through the imagery of my eye balls, I was wowed by it, never seen them in this much detail I thought this was great and definitely worth doing, and very important to have a thorough understanding of your eyes, and most importantly to seeing exactly how they would look if they were floating in mid air lol. I learned that I have Astigmatism, irregular shape of the surface of the eye . Nothing to worry about it just means that when light enters the eye, it is not correctly focused on the retina, wearing glasses can help correct this. I was then shown around the store and presented the collection of designer frames to choose from. I was in my element, so many super cool glasses to choose from, making a selection of my top 3 was easy, choosing my final pair was the tricky part I really couldn’t decide and needed a second opinion. 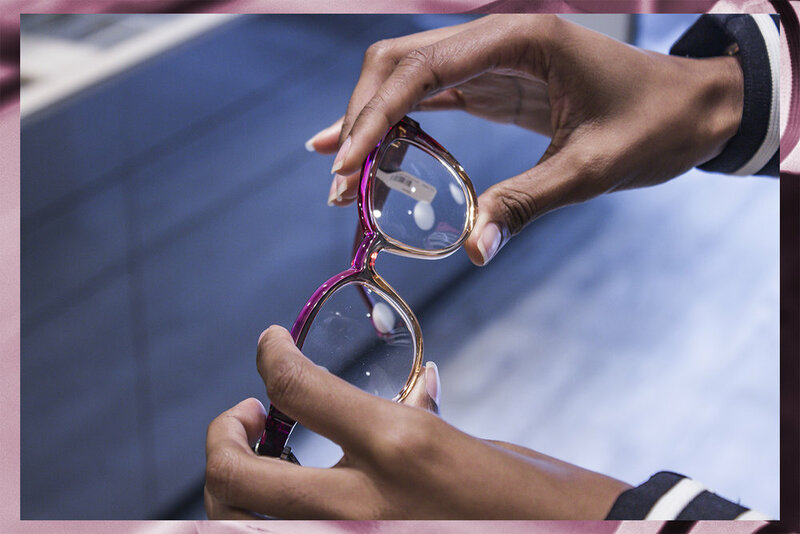 Overall it was fun picking a pair of glasses, the collection wasn’t too wide and overwhelming as many opticians can be, I’m used to walking into opticians and the offering is usually so wide so many designers to choose from I usually don’t nowhere to start. Aston and woods have a nice neat stylish selection to choose from, after trying on a few I ended up choosing a pair of Mykita cat-eye frames which I absolutely fell for.Definitely worth checking out - Aston and Woods are located on 170 Tottenham Court Rd, Fitzrovia, London W1T 7HA, also check out their website here http://www.astonandwoods.com/ .